OLIN, Iowa—Donna and Dave Stoneking felt trapped in a never-ending mortgage. Every two years, the Olin couple’s bank required them to refinance their adjustable-rate home loan—and pay thousands of dollars in closing costs each time. “At that rate, we were never going to pay the loan off,” Donna says. Donna reached out to Dupaco Community Credit Union to see whether the financial cooperative could provide them with some financial relief—just as the credit union had done for her sister, Linda Jackson, earlier this year. The Stonekings met with Dupaco’s Jacki Clasen. And they were blown away by her solution—which not only set them up with a more sustainable home loan, but also provided them with the financing they needed to maintain their house for years to come. 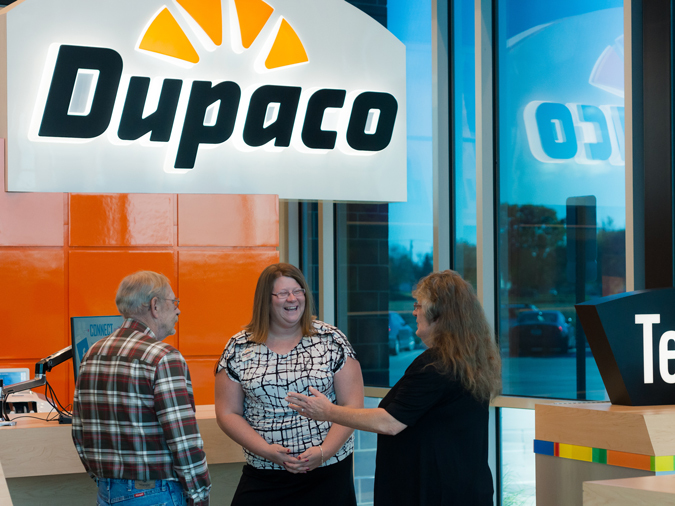 MORE: Find out how Dupaco helped Donna’s sister consolidate debt and keep her house. Clasen reviewed the Stonekings’ finances and suggested refinancing their mortgage into a Dupaco Mini-Mortgage, a loan ideal for those who want to pay off their home loan within 10 years. Doing so eliminated several years of mortgage payments and saved the couple more than $49,000 in interest. The Mini-Mortgage also eliminated the need to refinance every two years. The good news kept coming. Prior to meeting with Dupaco, the couple had taken out a loan to replace half of the roof on their “fixer-upper” house. The couple’s bank had said to come back later for a loan to replace the remainder of the roof. But when the couple returned, they were denied. Dave’s credit score had dropped after he suffered a heart attack and was unable to work. 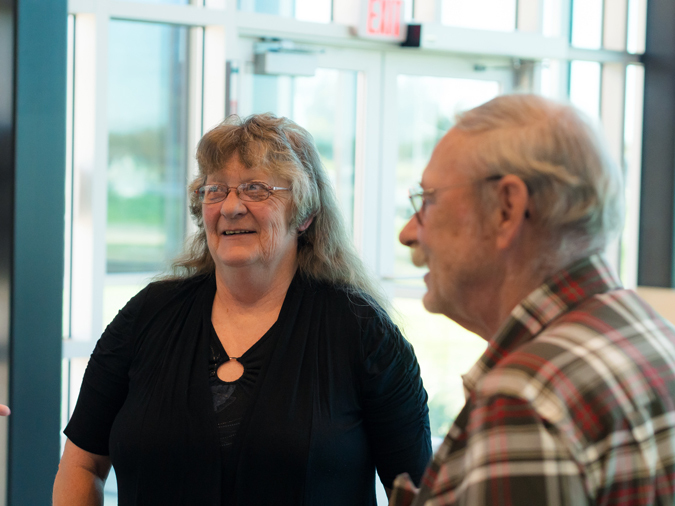 The couple explained their predicament to Clasen, who said Dupaco could help. The credit union opened a Home Equity Line of Credit for the Stonekings, providing them with the financing they had long been waiting for to replace the rest of their roof and buy a new furnace for this winter. Before working with Dupaco, the couple feared they would eventually have to sell their house, because they wouldn’t be able to afford the repairs it needed. But because of their experience with the credit union, the couple says they can continue turning their house into their home—and also can rely on their new financial home in Dupaco.